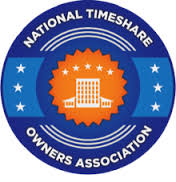 The purpose of the National Timeshare Owner’s Association is to help vacation owners enjoy their getaways and the planning process by giving them the proper resources and lerting them of the best businesses to work with in the travel industry. They are the foremost organization when it comes to educating, advocating, and helping timeshare owners to find resolutions to ownership issues. For the better part of two decades, the NTOA has assisted timeshare owners, and now can assist them further with their “Member Marketplace” feature. The Member Marketplace is designed to give NTOA members a source of trusted businesses that subscribe to NTOA’s best practices. As a member of NTOA, Concierge Realty has been given the “seal of approval,” positioning us as one of the elite businesses in the travel industry. Our owner, Michelle Donato, serves on the NTOA Advisory board, contributing strong management and advisory experience. The purpose of the group is to develop and promote “best practices” within the timeshare community and continue to improve the ownership experience. Our clients can rest assured that with Michelle’s leadership, we are working with the NTOA to provide them and their peers with excellent service and results. The American Resort Development Association, or “ARDA,” is the trade association representing the vacation ownership and resort development industries. ARDA has almost 1,000 corporate members ranging from privately held firms to publicly traded corporations with extensive experience in shared ownership interests in leisure real estate. The membership also includes timeshare owner associations (HOAs), resort management companies, industry vendors, suppliers, and consultants; as well as owners through the ARDA Resort Owners Coalition (ARDA-ROC). As members of ARDA, we are demonstrating our commitment to excellence in the timeshare industry. Additionally, we are recognized by our peers as leaders in the field, and are ahead of the curve in regards to industry trends and best practices. 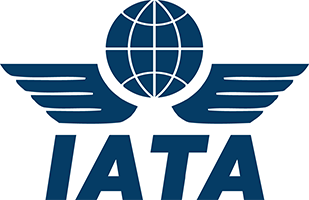 The IATA is the trade association for the world’s airlines. It represents about 240 airlines, which equates to more than 80% of total air traffic. IATA supports airline activity and helps formulate industry policy and standards. IATA accreditation was created as an initiative to simplify the business relationship between travel agents and airlines. There are about 60,000 IATA travel agents worldwide that currently benefit from IATA accreditation. These agents sell about $220 billion worth of airline tickets on behalf of the 240 IATA airlines. The Better Business Bureau (BBB), founded in 1912, is a nonprofit organization focused on advancing marketplace trust, consisting of 112 independently incorporated local BBB organizations in the United States and Canada coordinated under the Council of Better Business Bureaus (CBBB) in Arlington, VA. The BBB collects and provides free business reviews on more than 4 million businesses to over 100 million requests from consumers in 2012, and the BBB’s website rank among the top 300 most-visited websites in the United States. The BBB serves as an intermediary between consumers and businesses, handling nearly 1 million consumer disputes against businesses in 2012. The BBB also alerts the public to scams, reviews advertising, and assists when donating to charity. Nearly 400,000 local businesses in North America support the BBB. The BBB prospects successfully vetted businesses to become dues-paying Accredited Businesses that pledge and continue to adhere to the BBB Code of Business Practices.In return, the BBB allows Accredited Businesses in good standing to use its trademarked logo in marketing materials. Since Concierge Realty became accredited by the Better Business Bureau on July 11, 2011, we have had an outstanding track record.